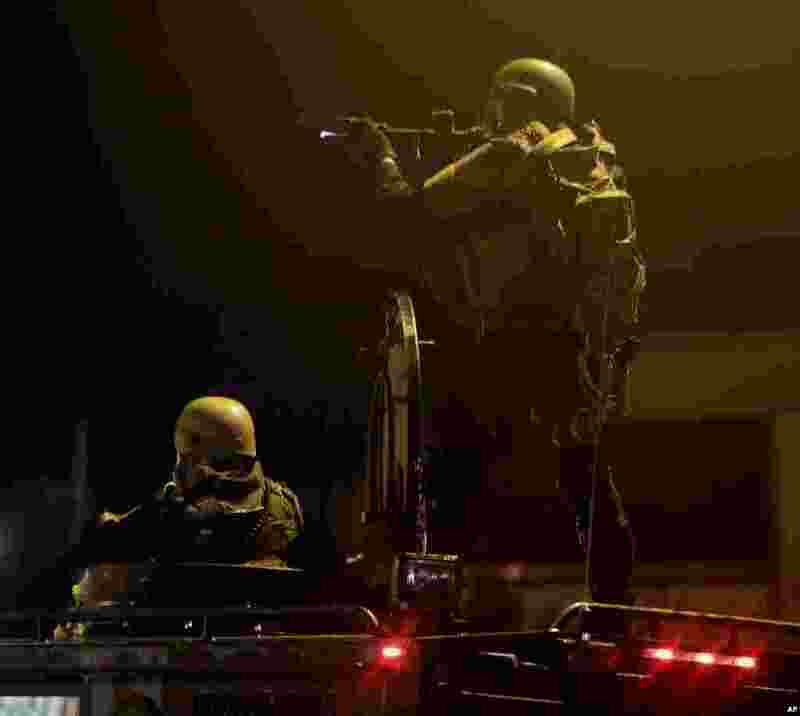 Authorities say one person was shot and critically wounded and seven people arrested early Sunday morning as police used smoke and tear gas to enforce a curfew in the U.S. town of Ferguson, Missouri. 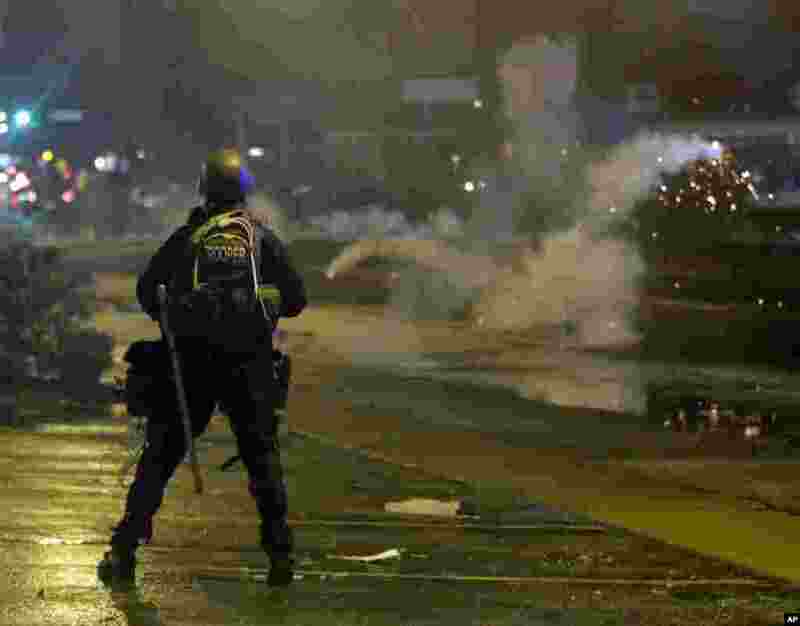 5 A law enforcement officer watches, Aug. 17, 2014, as tear gas is fired to disperse a crowd protesting the shooting of teenager Michael Brown last Saturday in Ferguson. 6 A law enforcement officer aims his rifle, Aug. 17, 2014, after tear gas was fired to disperse a crowd protesting the shooting of teenager Michael Brown last Saturday in Ferguson. 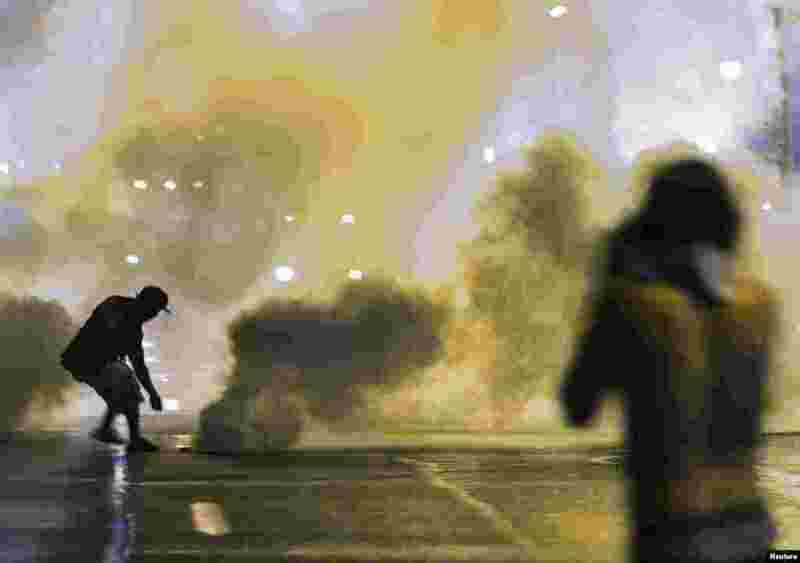 7 A protester reaches down to throw back a smoke canister as police clear a street after the passing of a midnight curfew meant to stem ongoing demonstrations in reaction to the shooting of Michael Brown in Ferguson, Missouri, Aug. 17, 2014. 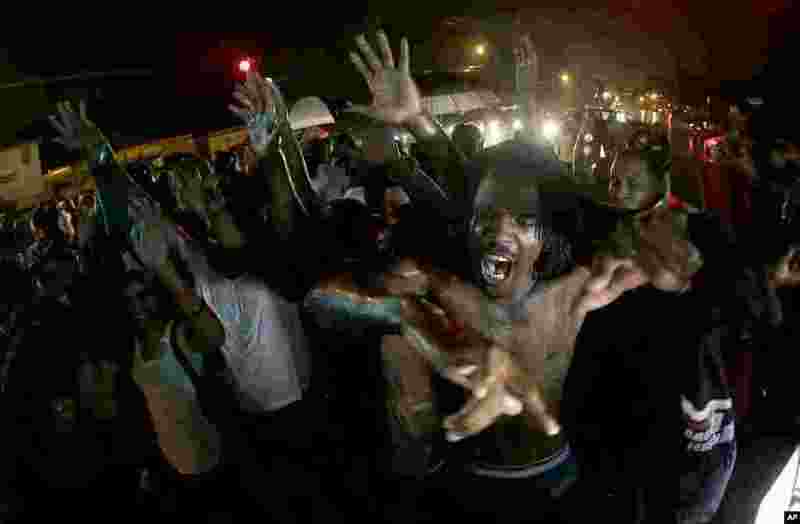 8 People defy a curfew, Aug. 17, 2014, before smoke and tear gas was fired to disperse a crowd in Ferguson.